Is there anyone today who has a strong moral voice? Who can explain, warn, teach, comfort and inspire these days? I’ve been contemplating this for some time- my teacher and mentor Prof. Elie Wiesel of blessed memory would have spoken out clearly, with strength, dignity, with a moral clear voice to those who are denigrating our people. Slurs and “ anti-Semitic tropes” would find a quick denouncement with a historical voice as a survivor and a world leader of peace. A Nobel Peace prize winner and celebrated author, teacher and voice of humanity, people listened when Elie Wiesel spoke. His writings and op-eds were quoted internationally and shared widely. We are being bashed, bombarded and attacked and there is no clear, strong, respected and prophetic voice to defend us and guide the ignorant slanderers. He would educate and reach out to teach- he knew how to bring people together. Having just come back from AIPAC, I heard a brilliant lecture by Arthur Brooks, whose recent book entitled, “Love Your Enemies – How Decent People can Save America from the Culture of Contempt” reflects a growing concern. He explained that “no one has ever been insulted into an agreement” Today there is such toxic disagreement that friends, families and co-workers are reluctant to reveal their political feelings. We are being insulted by a few new members of Congress who haven’t studied our history and who don’t understand the power and damage of their words. If only we had a voice who could speak at this time in history. 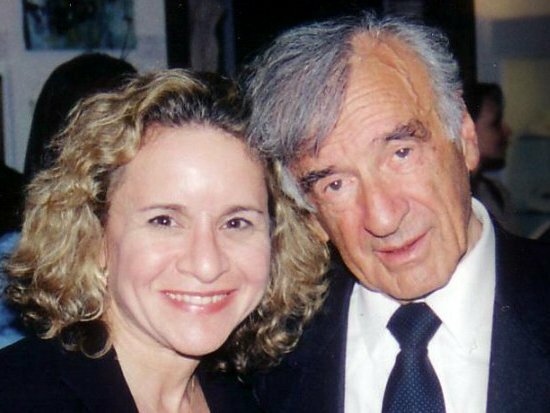 If Elie Wiesel were alive, I know for sure he would speak to them and offer to meet with them to explain how painful their words are and why. He would not accept the Democrat’s reluctance to name anti-Semitism alone as unacceptable at this time. Elie Wiesel would raise our spirits, remind us of who we are as a people, that we have survived and will continue to survive as long as we remember our history, have faith, have hope and work towards a better world together with those who want peace. How I miss him! Will the next speaker for our people please stand up and speak with passion from your heart? Will the next speaker confront the ignorant hateful statements and remind us of the best in humanity when facing this ancient hatred? We are waiting. In the meantime, it is up to all of us to speak out loudly, clearly, with hope for a better world.